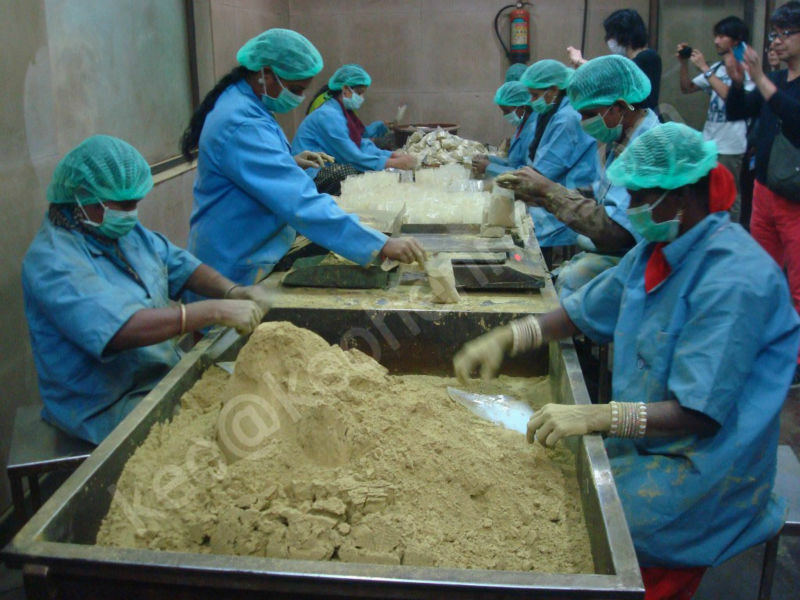 We manufacture and export the purest Natural hair colors. Without chemical additives or irritants, KEO natural hair color gives a deep, rich color while conditioning your hair and scalp. KEO Natural Hair Colors for brown and black hair use only truly natural ingredients. We have two types of Zipper pouch available in 100-gram packing only & only in silver colored. 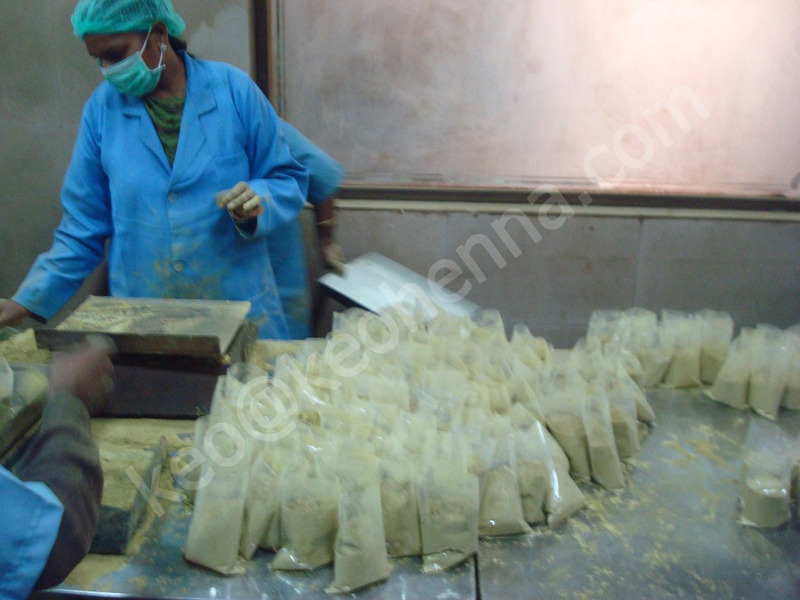 Packing size: 50 gram, 100 gram, 500 gram and 1 kg and 20kg to 25 kg Bulk Packing. 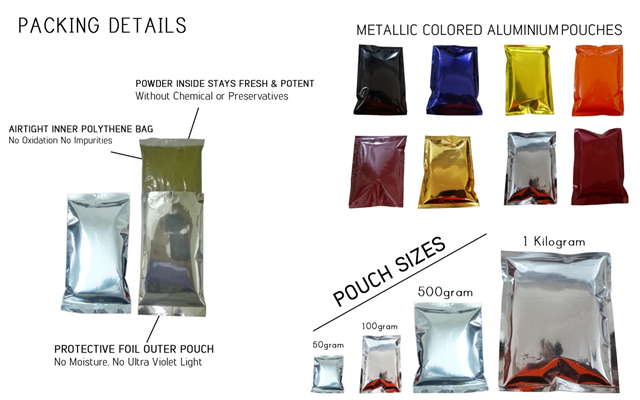 Colored pouch available only in 100-gram packing. 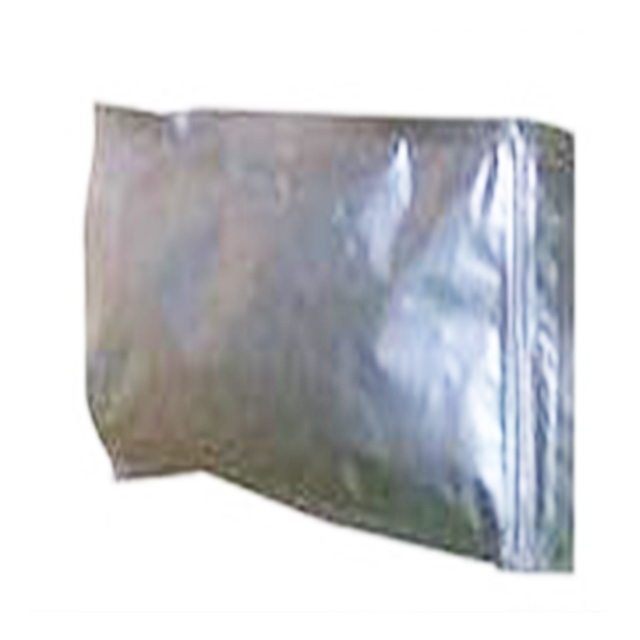 Packaging style: Double Layer Vacuum Packing (Vacuum Sealed LDPE Pouch + Composite Aluminum Foil Pouch). We have vast experience in manufacturing of these products and we can claim that our products are one of the best in the market today among the competitive products considering our best price and good quality. Our products already established itself in the untapped market of Japan, China, USA, Malaysia, Russia, Taiwan and more than 30 countries. 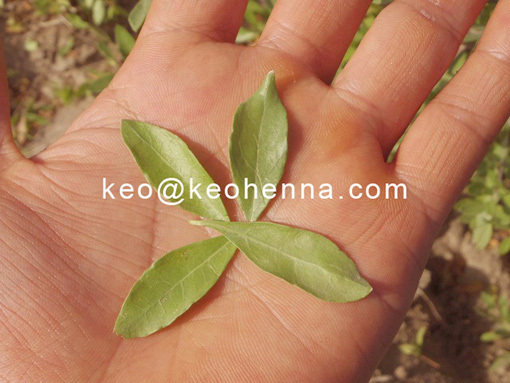 Our products had been tested by many of our buyers and got satisfaction and only positive feedback from all those who have tried our products. 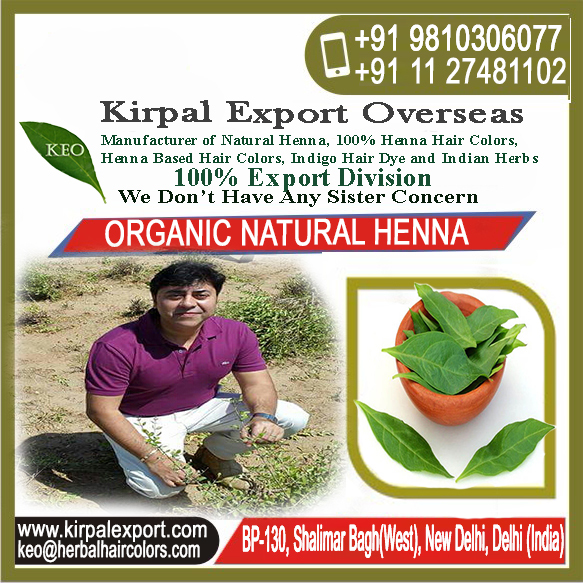 Technological innovations have continually been at the forefront for Kirpal Export Overseas and also the company has been desegregation latest technological innovations in its entire operation - right from the farming of Henna, Indigo and different herbs to the ultimate process and packaging of products like natural Henna, Indigo, and Natural Hair Color Products. * It is an attractive option for those who don't want to destroy their hair. 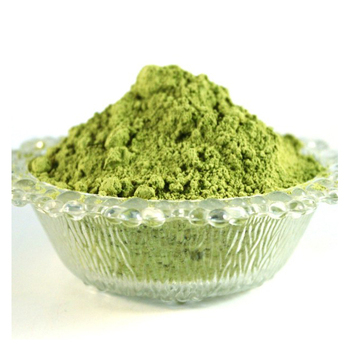 * It is a Rich, lush color without requiring a breakdown of the hair cuticle. * It Conditions the hair and nourishes the scalp with natural ingredients. * It helps the hair absorb color without requiring any application of harsh chemicals. * Plant-based dyes and extracts penetrate deeply and gently into the hair. 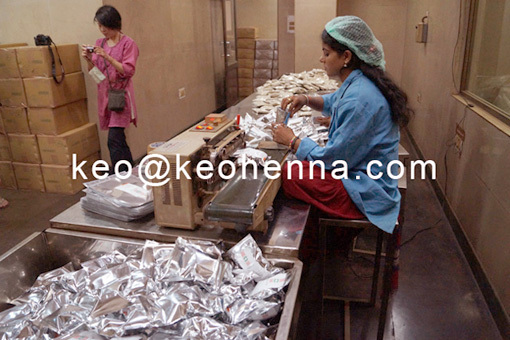 KEO Organic Henna Powder Hair Color has unique organic natural ingredients of premium quality. 100% organic made of henna only. It is a perfect blend of rare hair treatment henna without chemicals. This is first organic hair color which covers grey hair effectively and properly in one step with no synthetic ingredients. Manufactured by using Ayurvedic, natural and organic herbs it gently coats your hair for vibrant stable color that lasts long. These organic hair colors are clinically tested for their quality and safety. These are 100% safe and do not cause any side effect. Blend away grays for more natural coverage. Boon for people with sensitive skin and allergic to chemicals. 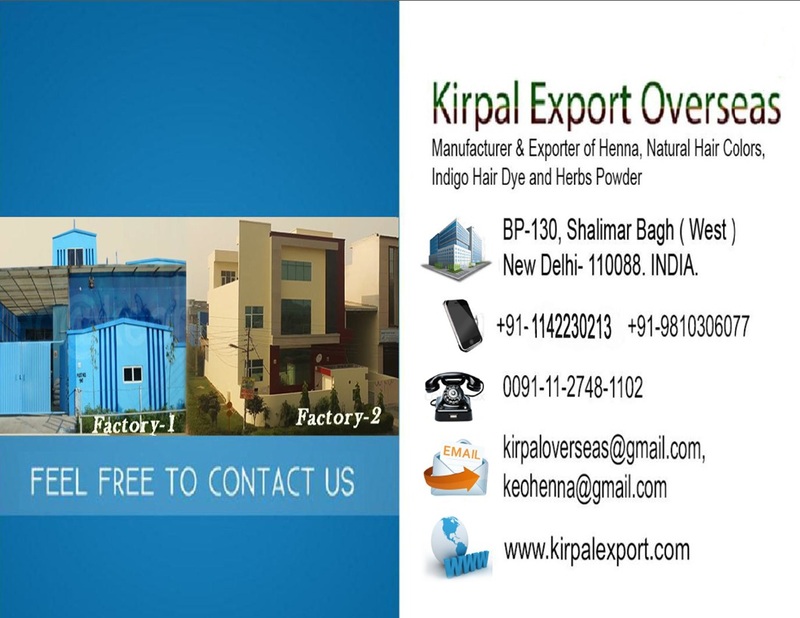 Kirpal Export Overseas is a trusted name as Manufacturer, Supplier, and Exporter of Henna Products. 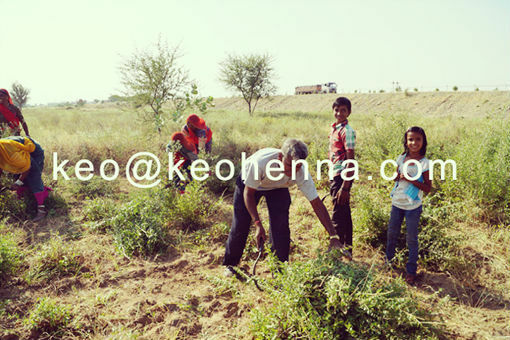 The Company is located in Delhi, India. 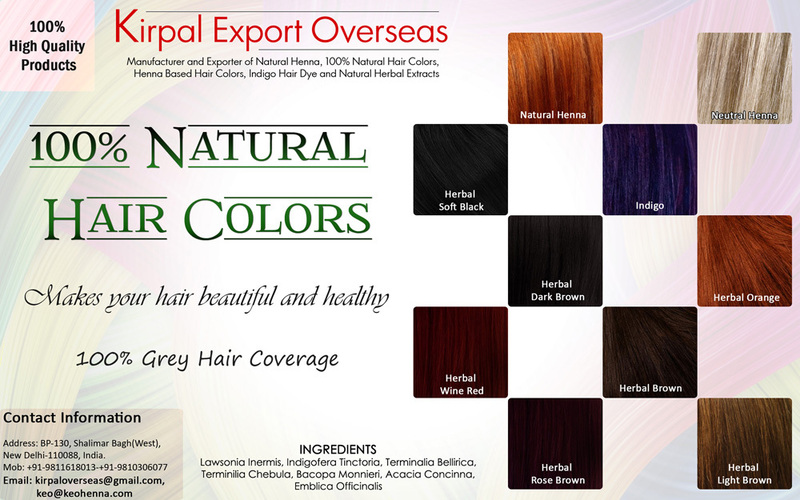 Kirpal Export Overseas has been producing Henna Hair Colors for the last 20 years. 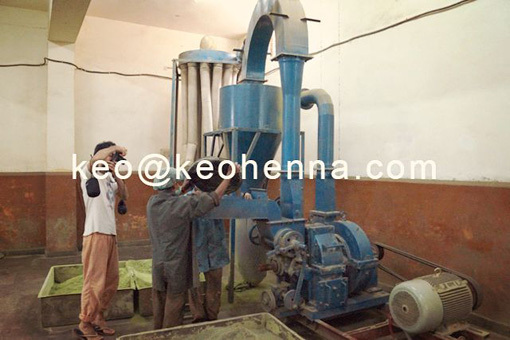 We have upgraded machinery for manufacturing and packaging of High-Quality Henna Powder. 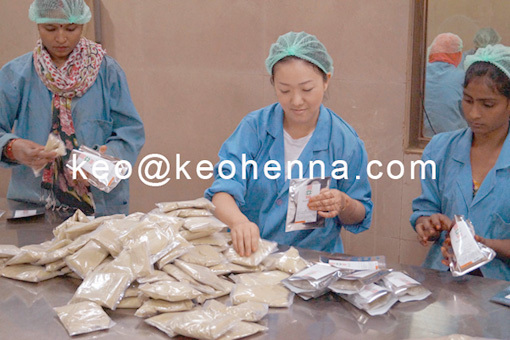 We are producing International quality’s Henna powder product in our two production unit having 15 ton per day capacity. 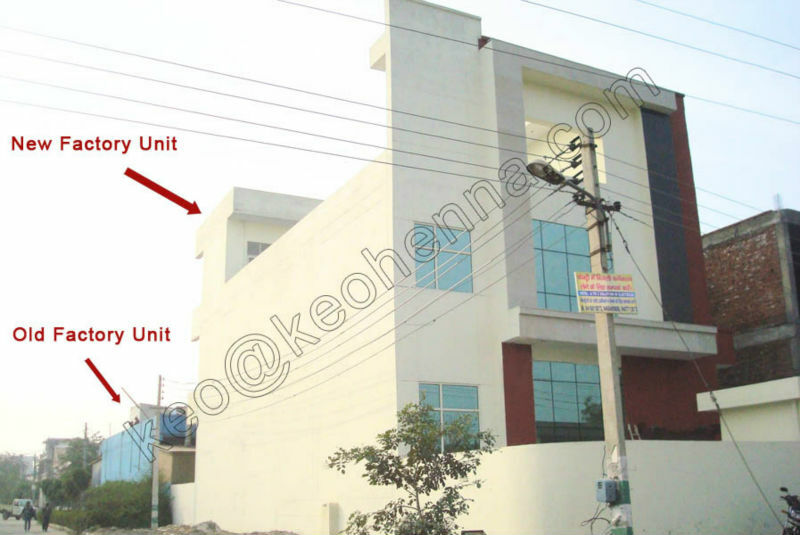 Additionally, we have highly sophisticated R&D Lab and In-house Testing facilities. 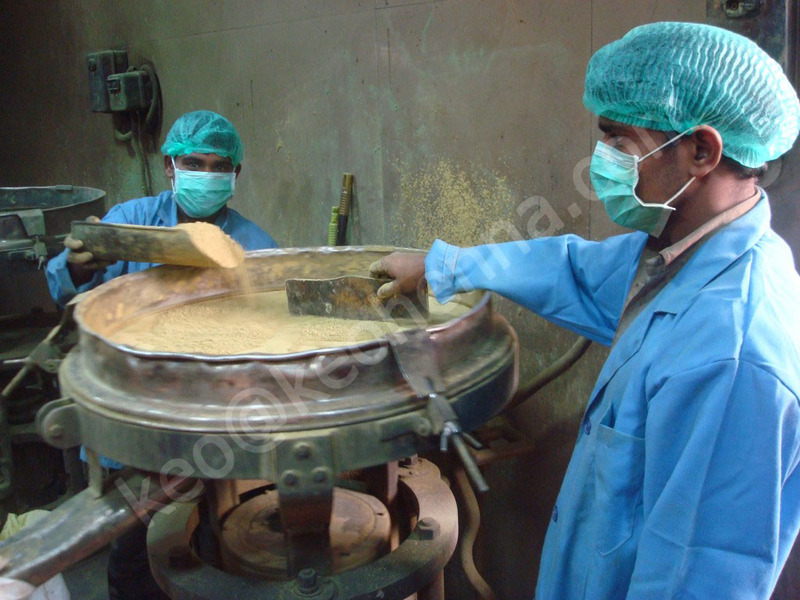 We are known for our most effectual custom-made solutions to serve the clients with timely delivery of bulk orders.